My family spends a lot of time in the water, so our kids absolutely must be good swimmers. From jet skis to pools at my parents’ and in-laws’ houses… from swimming in Lake Guntersville to wading through mountain streams while camping… it seems like we are always doing something during the summer where water safety is an issue. Will picked up on swimming a couple years ago, and now at 7 years old he is like a fish in the water. Julie Beth and Sam have become more brave as well, and since this is our 1st full summer in Guntersville, we will swim multiple times per week all summer. 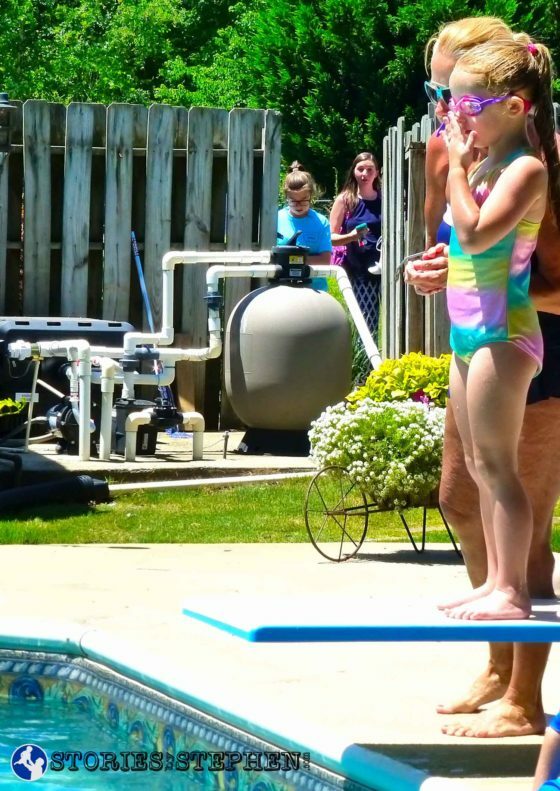 We wanted to speed up the process of Julie Beth and Sam learning to swim, so we put them in swim lessons together, which worked great because Sam’s preschool teacher from this past year runs the lessons at her pool, while 2 of her helpers are Julie Beth’s gymnastics coaches. Swim lessons lasted 2 weeks (8 total days), and the last day of each week they invited parents to come watch a “swim show.” Julie Beth’s and Sam’s improvement each week was phenomenal! Here are some pictures and videos highlighting week 1 of swim lessons. Click here to see how Will learned to ride a bike while his younger brother and sister were at swim lessons! Sam quietly (Sam is ALWAYS quiet in public.) waits for his turn to show off new swimming skills after the 1st week of swim lessons. 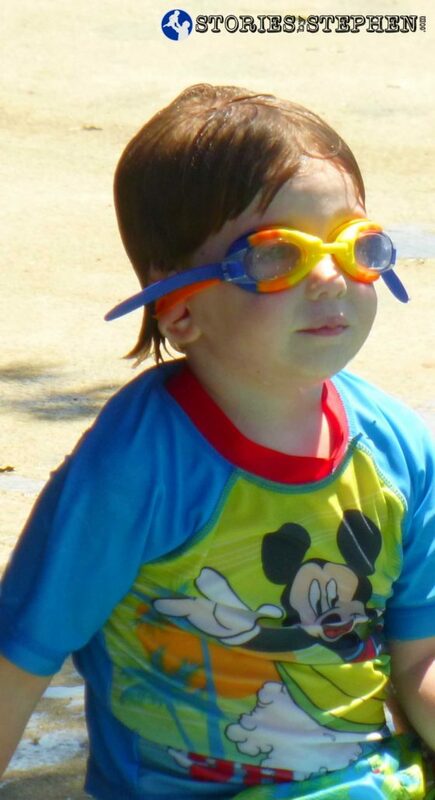 Here is a video of Sam showing what he has learned after just 3 days of swim lessons. 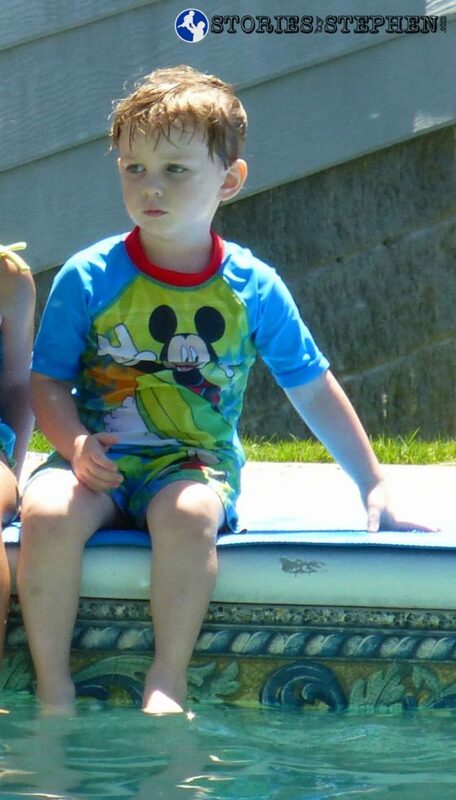 At 4 years old, he could not swim at all without floaties before taking lessons. Sam is very pleased with himself after a job well done swimming on his back at his 1st swim show. Julie Beth kept it a secret all week that she was going to jump off the diving board at the 1st swim show. She was pretty excited about it. 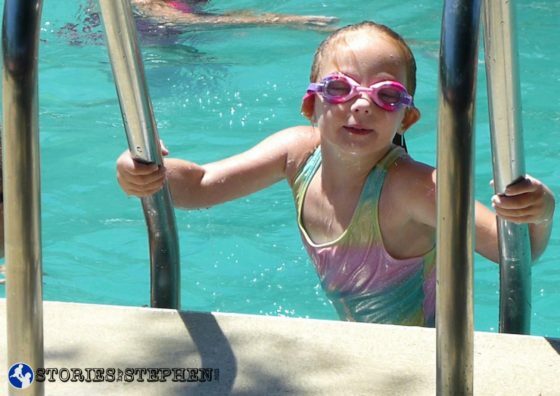 Here is a video of Julie Beth’s week 1 progress at swim lessons. Julie Beth climbs the ladder after jumping off the diving board and swimming across the deep end by herself at the end of week 1. 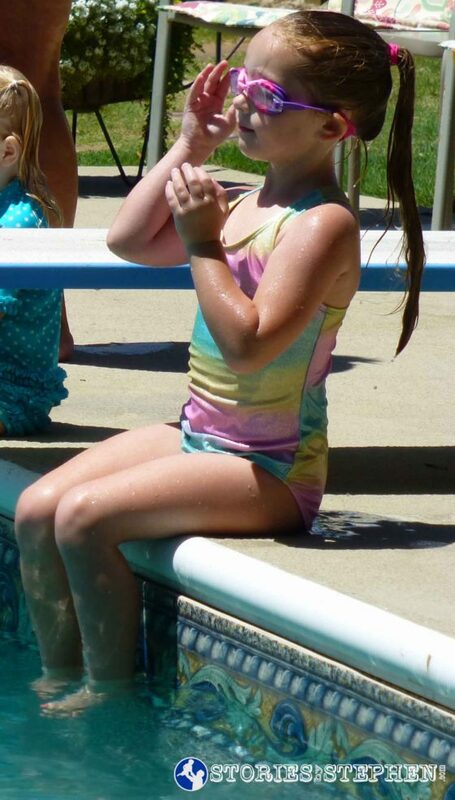 Julie Beth at her 1st week of swim lessons. Click here to see pics and videos from week 2 of swim lessons.